The 4-20mA unit provides a direct integration with almost any sensor that outputs 4-20 mA signals. 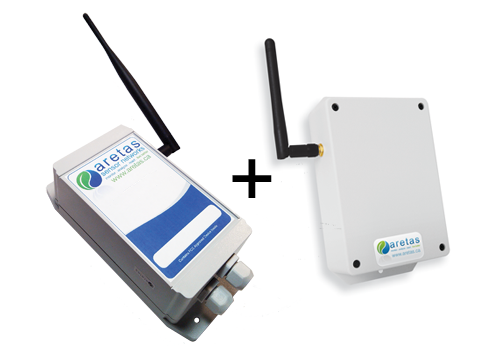 Combine these sensors with our 4-20mA unit and an Aretas communication bridge, then customers can view the output from almost any 4-20mA device online in the Aretas Reporting and Control application. Real time data can also be viewed from a PC with the Aretas real time reporting software. Optional monochromatic LED displays are also available for viewing instantaneous data on the 4-20mA unit. Currently, two 4-20mA devices are supported per unit. 10 channel, ultra high precision units are also available for custom order. These are a few examples of ways you can utilize this flexible product. Using the 4-20mA and communication bridge unit from Aretas, you can either breathe new life into existing infrastructure or capitalize on the abundance of high quality industrial 4-20mA sensors already on the market. With the Aretas 4-20mA powerfull online dashboard and analytics, you can set alerts, strategies, thresholds, view historical data and watch numerous locations and buildings at once. Coupled with the Aretas Control System you can also take inputs from 4-20mA systems and control 3 output channels on a separate controller board. 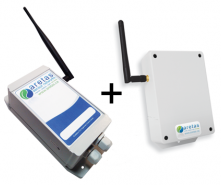 The Aretas Network Solutions 4-20 mA controller is able to read any 4-20 mA analog signals, interpret, store, and transmit the data wirelessly to any mobile device for analysis and alerting. Our standard 4 - 20 mA interface board is designed to integrate with your sensor needs. We are devloping custom sensor solutions such as high pressure monitoring!